This sweet little corner of this kitchen is a perfect spot for a stylish and cozy dining nook! 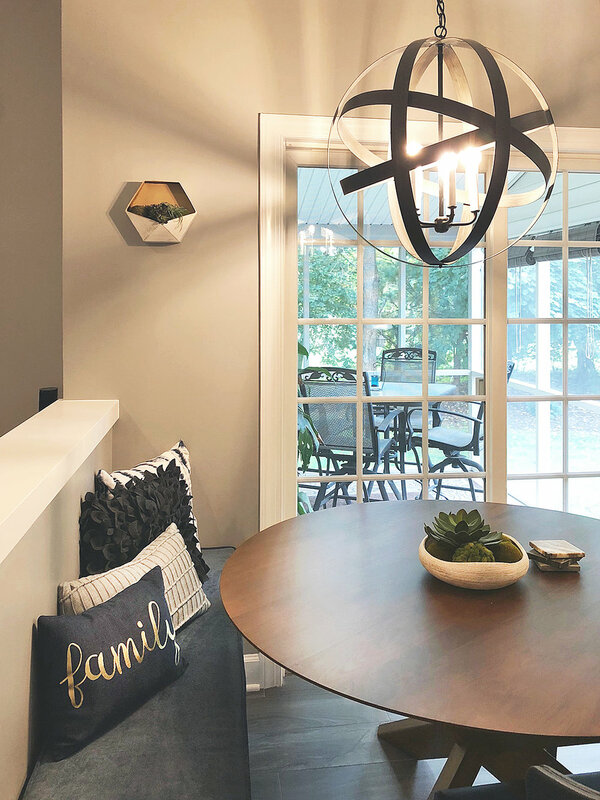 With a comfortable banquette adorned with a plush cushion and toss pillows and a pair of round back chairs, this nook serves as a place for the whole family to sit down to breakfast or to gather with guests! With a sleek sideboard with a wood-tiled facade placed opposite the table, there is even plenty of storage for all of your dining essentials!